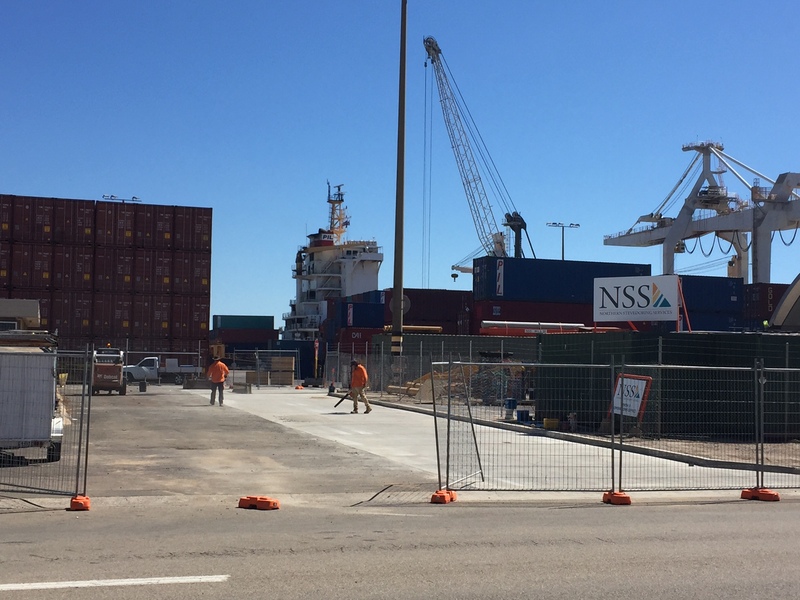 NSS recently started construction of a new access driveway at its Berth 3 terminal in Townsville. The new access will allow road trains to directly traverse the terminal for receipt and loading of cargoes. Commissioning is expected in late September and will benefit NSS clientele who transport their cargoes along road train-approved routes. NSS operations manager Damien Scott said the new access would offer transport companies the only road train-accessible wharf terminal in the Port of Townsville. “What this means for our customers is they can deliver their freight direct from the point of origin without having the extra expense of breaking up road trains into smaller configurations prior to arrival,” he said.